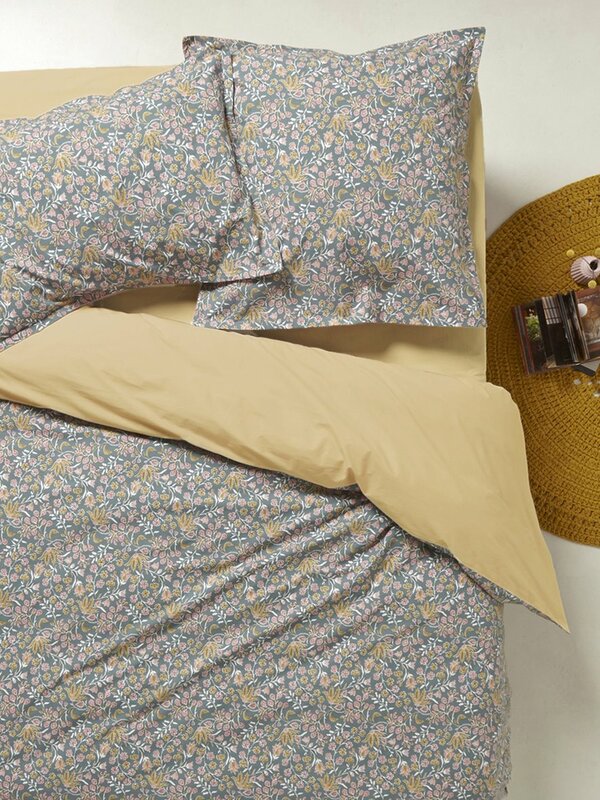 Plain fitted sheet to match the Paisley bed linen set. Elasticated corners. Machine washable at 40°C. Made in Portugal. 100% cotton percale (80 threads/cm2) for softness and durability. Percale is a fine cotton fabric. Its smooth and tight weave make it especially soft and durable. This product is Oeko-Tex® standard 100 (CQ1118/1) certified. This certification guarantees that no substances that may be harmful to your health or the environment have been used.